The Punjab province’s police chief as well as its information minister denied the claim that the former husband of first lady Bushra Bibi influenced the transfer of the Pakpattan DPO. 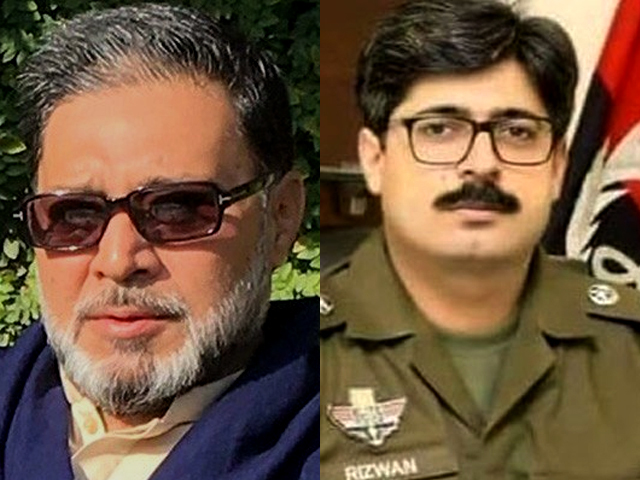 The district police officer (DPO) of Pakpattan, Rizwan Gondal, was said to have been transferred after he intercepted Khawar Maneka, the former husband of Prime Minister Imran Khan’s wife, for speeding. Police officials said the personnel tried to stop Khawar at a checkpoint on August 23 but he did not comply. However, they chased his vehicle and managed to intercept him. An exchange of harsh words ensued. Social media uproar followed as it was widely believed that Gondal was transferred due to his refusal to apoligise to Bushra Bibi’s former husband. According to Punjab Information Minister Fayyazul Hasan Chohan, the Punjab government or Bani Gala have nothing to do with the incident. He said that the PTI’s detractors had greatly exaggerated the incident. The Punjab IG also denied reports circulating on social media that Maneka influenced the transfer of Gondal. According to the IG’s spokesperson, the DPO was transferred for spreading misinformation and not under any kind of pressure. “We have also ordered an inquiry against the official for spreading misinformation regarding the transfer order,” he said.